The Office of Public Policy Outreach prepares Virginia Commonwealth University faculty for effective interactions with state and local lawmakers. We help translate academic knowledge into successful public policies for the commonwealth. 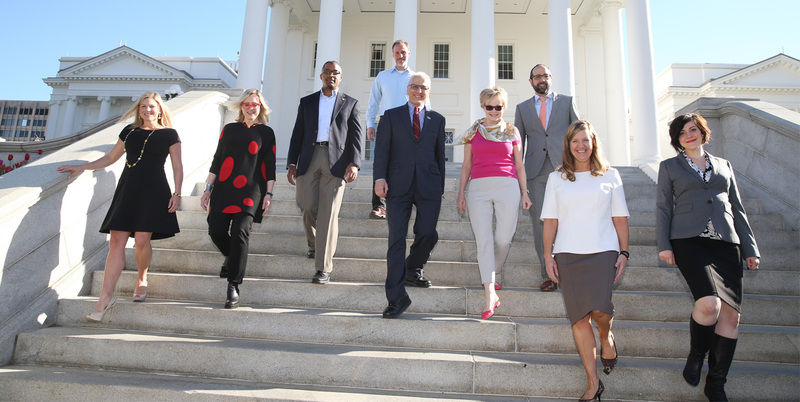 Our seminars, events and programs prepare VCU faculty for building relationships with legislators, while our research data provides policymakers with critical background information. Twice a year, our Public Policy Poll provides insights into key Virginia policy topics. Our Winter 2018-19 poll surveyed 805 adult Virginians in four broad policy areas: public safety, workforce development, education and statewide electoral races. The most recent releases are posted here while earlier polls can be found on our Public Policy Poll page. Stay up-to-date with our weekly micro-newsletter (200-300 words). From education to economic development, we deliver brief but essential Virginia policy insights to your inbox every week. Click on the button below to subscribe or view our newsletter archive.